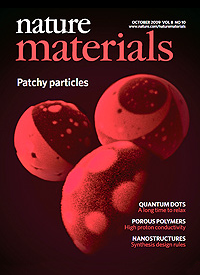 Aranda-Espinoza, H., Bermudez, H., Bates, F. S. and Discher, D. E., “Electromechanical Limits of Polymersomes,” Phys. Rev. Letts. 87, 208301 – 1-4 (2001). Borisevich, A., Kalinin, S., Bonnell, D., Davies, P., “Analysis of Phase Distribution on the Li2O-TiO2-Nb2O5 System by Piezo Response Imaging,” J. Materials Research 16, 329-332 (2001). DiNardo, N. J., Vohs, J. M., Wei, Y., Plank, R. and Lee, K., “Ultrathin Polyaniline Films on Metal Surfaces: Growth, Polymerization, and Conductivity,” in Metallized Plastics 7: Fundamentals and Applied Aspects, ed. K. L. Mittal, VSP, Zeist, 293-306 (2001). Ezbiansky, K. A., Berry, D. H., Arkles, B. and Composto, R. J., “Fluoride-Catalyzed Conversion of b-AcetoxyEthylSilsesquioxane: a Chloride-Free Precursor for Silica Films,” Polym. Prepr. 42, 101-102 (2001). 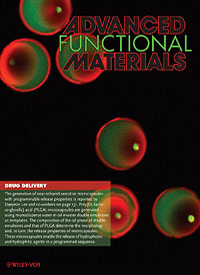 Hammer, D. A. and Discher, D. E., “Synthetic Cells – Self-Assembling Polymer Membranes & Bioadhesive Colloids,” (invited review) Annual Review of Materials Research 31, 387-404 (2001). Kalinin, S. and Bonnell, D. A., “Temperature Dependence of Polarization and Charge Dynamics on the BaTiO3 (100) Surface by SPM,” Applied Physics Letters 78, 1116-1118 (2001). Kalinin, S. and Bonnell, D. A., “Local Potential And Polarization Screening on Ferroelectric Surfaces,” Phys. Rev. B. 63, 125411/1-13 (2001). 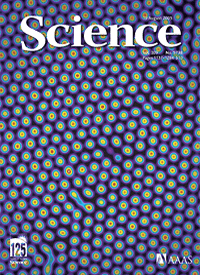 Kalinin, S. and Bonnell, D., “Imaging Mechanism of Piezoresponse Force Microscopy of Ferroelectric Surfaces,” Phys. Rev. B 64 (2002). Lacoste, D. and Lubensky, T. C., “Phase Transitions in a Ferrofluid at Magnetic-field-induced Microphase Separation,” Phys. Rev. E 64, 041506/1-8 (2001). Lee, J. C-M., Law, R., and Discher, D. E., “Bending Contributions to the Hydration of Phospholipid and Block Copolymer Membranes: Unifying Correlations Between Probe Fluorescence and Vesicle Thermoelasticity,” Langmuir 17, 3592-3597 (2001). Levine, A. J. and Lubensky, T. C., “The Response Function of a Sphere in a Viscoelastic Two-fluid Medium,” Phys. Rev. E 63, 041510/1-12 (2001). Levine, A. J. and Lubensky, T. C., “Two-point Microrheology and the Electrostatic Analogy,” Phys. Rev. E 65, 011501/1-13 (2002). Li, X, Mamchik, A. and Chen, I.-W., “Stability of Electrodeless Ferroelectric Domains near a Ferroelectric/Dielectric Interface,” Appl. Lett. 79, 809-811 (2001). Pao, W-J., Stetzer, M. R., Heiney, P. A., Cho, W-D. and Percec, V., “X-ray Reflectivity Study of Langmuir Films of Amphiphilic Monodendrons,” J. Phys. Chem. B 105, 2170-2176 (2001). 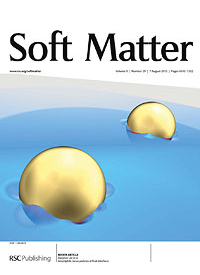 Qiao, L., Winey, K. I., and Morse, D. C., “Dynamics of Kink Bands in Layered Liquids: Theory and in situ SAXS Experiments on a Block Copolymer Melt.” Macromolecules, 34 (22) 7858 – 7867 (2001). Zhou, W., Ooi, Y. H., Russo, R., Papanek, P., Luzzi, D. E., Fischer, J. E., Bronikowski, M. J., Willis, P. A. and Smalley, R. E., “Structural Characterization and Diameter-dependent Oxidative Stability of Single Wall Carbon Nanotubes Synthesized by the Catalytic Decomposition of CO,” Chem. Phys. Letts. 350, 6-10 (2001). Akbas, M. and Davies, P. K., “Structure, Stability, and Dielectric Properties of Chemically Ordered Relaxors in the Pb(Mg1/3Ta 2/3)O3-PbZrO3 System,” Intl. J. of Inorganic Materials 3, 123-134 (2001). 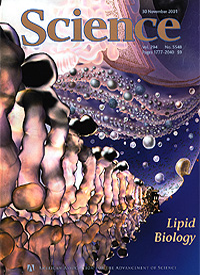 Bandyopadhyay, S., Shelley, J. C. and Klein, M. L., “Molecular Dynamics Study of the Effect of Surfactant on a Biomembrane,” J. Phys. Chem. B 105, 5979-5986 (2001). Claye, A., Rahman, S., Fischer, J. E., A. Sirenko, Sumanasekera, G. U., and Eklund, P. C., “In situ Raman Scattering Studies of Alkali-Doped Single Wall Carbon Nanotubes,” Chem. Phys. Lett. 333, 16 (2001). Dmowski, W., Akbas, M., Egami, T. and Davies, P. K., “Structure Refinement of Large Domain Relaxors in the Pb(Mg1/3Ta2/3)O3-PbZrO3 System, ” J. Phys. Chem. Solids 63, 15-22 (2001). Gibney, B. B., Huang, S. S., Skalicky, J. J., Fuentes, E. J., Wand, A. J., and Dutton, P. L., “Hydrophobic Modulation of Heme Properties in Heme Protein Maquettes,” Biochemistry 40, 10550-10561 (2001). Grinberg, I., Ramer, N. J. and Rappe, A. M., “Accurate Construction of Transition Metal Pseudo-potentials for Oxides,” in Fundamental Physics of Ferroelectrics 2001, 211-17, ed. 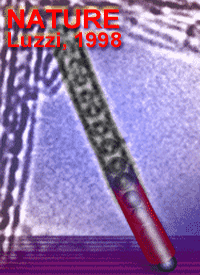 H. Krakauer 11th Williamsburg Ferroelectrics Workshop, American Institute of Physics, NY (2001). Grinberg, I., Ramer, N. J. and Rappe, A. M., “Quantitative Criteria for Transferable Pseudopotentials in Density Functional Theory,” Phys. Rev. B Rapid Comm. 63, 201102 1-4, (2001). 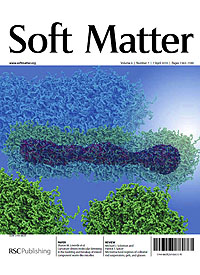 Grosset, A.M., Gibney, B. R., Rabanal, F., Moser, C. C., and Dutton, P. L., “Proof of Principle in a De Novo Designed Protein Maquette: An Allosterically Regulated, Charge Avtivated Conformational Switch in a Tetra a-Helix Bundle,” Biochemistry 40, 5474-5487, (2001). Haas, A. S., Pilloud, D. L., Reddy, K. S., Babcock, G. T., Moser, C. C., Blasie, J. K. and Dutton, P. L., “Cytochrome c and Cytochrome c Oxidase: Monolayer Assemblies and Catalysis,” J. Phys. Chem. B 105, 11351-11362 (2001). Johnson, A. T., Hone, J. and Biercuk, M., “Fabrication of Nanotube-Epoxy Composites with Enhanced Thermal Conductivity and Strength for High-Performance Thermal Management,” patent pending (2002). Kane, C. L. and Mele, E. J., “Dielectric Control of Electrostatic Barriers for Molecular Electronics,” patent pending (2001). Kennedy, M.L., Gibney, B.R., and Dutton, P.L., “Model Hemoprotein Reduction Potentials: The Effects of Histidine to Iron Coordination Equilibrium, ” J.A.C. S., 123, 4635-4636 (2001). 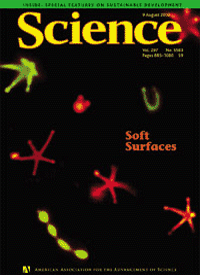 Klein, M. L., “Water on the Move,” Science 291, 2106-2107 (2001). Kral, P., Mele, E. J., Tomanek, D. and Shapiro, M., “Photo-Galvano-Mechanical Phenomena in Nanotubes” in Electronic Properties of Molecular Nanostructures” (H.Kuzmany, J. Fink, M. Mehring and S. Roth, eds, American Institute of Physics, AIP Conference Proceedings, Vol. 591, 2001) p 371-375. Lee, J.C-M., Bermudez, H., Discher, B.M., Sheehan, M.A., Won, Y.-Y., Bates, F. S. and Discher, D.E. “Preparation, Stability, and In Vitro Performance of Vesicles Made with Diblock Copolymers,” Biotechnology and Bioengineering 73, 135-145 (2001). 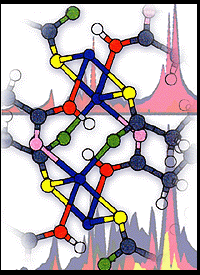 Lewis, S. P. and Rappe, A. M., “Controlling Adsorbate Vibrational Lifetimes using Superlattices,” Phys. Rev. B 63, 85402 1-5, (2001). Lin, X., Ramer, N. J., Rappe, A. M., Hass, K., Schneider, W. F. and Trout, B. L., “Effect of Particle Size on the Adsorption of O and S Atoms on Pt: a Density Functional Study,” J. Phys. Chem. 105, 7739-47 (2001). Liu, D. and DeGrado, W. F., “DeNovo Design, Synthesis, and Characterization of Antimicrobial Beta-Peptides,” J. A. C. S. 123, 7553-59 (2001). Liu, S. Boeshore, S., Fernandez, A., Sayagues, M. J., Fischer, J. E. and Gedanken, A., “Study of Cobalt-Filled Carbon Nanoflasks,” J. Phys. Chem. B 105, 7606 (2001). Lubensky, T. C., “Liquid Crystal Physics at the Millennium,” Mol. Cryst. and Liq. Cryst. 364, 1-13 (2001). 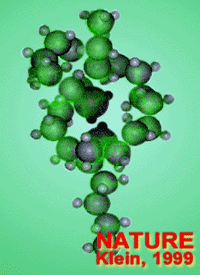 Luzzi, D. E., Smith, B. W., Russo, R., Satishkumar, B. C., Stercel, F. and Nemes, N. M., “Encapsulation of Metallofullerenes and Metallocenes in Carbon Nanotubes,” in Molecular Nanostructures, ed. H. Kuzmany, J. Fink, M. Mehring and S. Roth, AIP Conf. Proc. 591, 622 (2001). 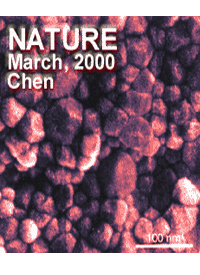 Mele, E. J., Ed., Special Issue of Synthetic Metals Celebrating the 2000 Nobel Prize in Chemistry to Alan Heeger, Alan MacDiarmid and Hideki Shirakawa. 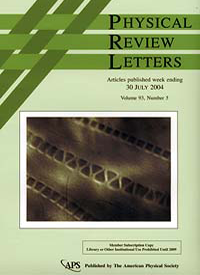 in press (2002). Mele, E. J., Kral, P. and Tomanek, D., “Optical Current Injection in Carbon and Boron Nitride Nanotubes, ” Electronic Properties of Molecular Nanostructures (H.Kuzmany, J. Fink, M. Mehring and S. Roth, editors American Institute of Physics, AIP Conference Proceedings, Vol. 591, 2001) p 420-424. 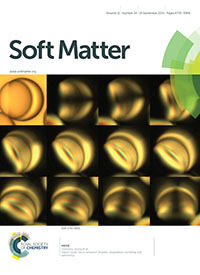 Nordgren, E., Tobias, D. J., Klein, M. L. and Blasie, J. K., “Molecular Dynamics Simulations of a Hydrated Protein Vectorially-Oriented at Hydrophobic vs. Hydrophilic Soft Surfaces,” (accepted) Biophys. J. (2002). North, B., Summa, C. M., Ghirlanda, G., DeGrado, W. F., “D(n)-symmetrical Tertiary Templates for the Design of Tubular Proteins,” J.M.B. 311, 1081-1090 (2001). Pender M. J. and Sneddon, L. G., “The Design, Syntheses and Applications of Group 13 Molecular and Polymeric Precursors to Advanced Ceramics, ” in Group 13 Chemistry: Fundamental Research, Materials Science and Catalysis, ed. P. Shapiro and D. Atwood, American Chemical Society Symposium Series, ACS, Washington, DC. Pender, M. J., Carroll, P. J. and Sneddon, L. G., “Transition Metal Promoted Reactions of Boron Hydrides,” 17. Titanium Catalyzed Decaborane-Olefin Hydroborations,” J. A. C. S. 123, 12222-12231 (2001). Popov, G., Kalinin, S. V., Alvarez, T. Emge, T., Greenblatt, M. and Bonnell, D. A., “Micromagnetic And Magnetoresistance Studies of Ferromagnetic La 0.83 Sr 0.13 MnO 2.98 Crystals,” Phys. Rev. B, 64 (2002). Raugei, S. and Klein, M. L., “Ab Initio Molecular Dynamics Investigation of the Formyl Cation in the Superacid SbF5/HF, ” J. Phys. Chem. B 105, 8212-8219 (2001). Roger, C. L. and Rappe, A. M., “Unique Quantum Stress Fields,” in Fundamental Physics of Ferroelectrics 2001, 11th Williamsburg Ferroelectrics Workshop 91-96, ed. H. Krakauer, American Institute of Physics, NY (2001). Saitta, A. M. and Klein, M. L., “First-Principles Molecular Dynamics Study of the Rupture Processes of a Bulklike Polyethylene Knot,” J. Phys. Chem. B. 105, 6495-6499 (2001). Strzalka, J., Chen, X., Dutton, P. L. and Blasie, J. K., “X-ray Scattering Studies of Maquette Peptide Monolayers II: Interferometry at the Solid/Vapor Interface,” Langmuir 17, 1193-1199 (2001). Tronin, A. and Blasie, J.K., “Variable Acquisition Angle Total Internal Reflection Fluorescence – a New Technique for Orientation Distribution Studies of Ultrathin Films,” Langmuir 17, 3696-3703 (2001). Walsh, S. T. R., Lee, A. L., DeGrado, W. F. and Wand, A. J., “Dynamics of a De novo Designed Three-Helix Bundle Protein Studied by 15N, 13C, and 2H NMR Relaxation Methods,” Biochemistry 40, 9560-9569 (2001). Walter, E. J., Lewis, S. P. and Rappe, A.M., “First-principles Study of Carbon Monoxide Adsorption on Zirconia-Supported Copper,” Surf. Sci, 495, 44-50 (2001). 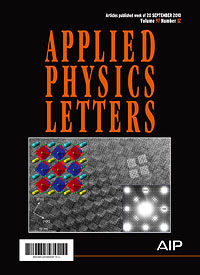 Yang, M. C., Rockey, T. J., Pursell, D. and Dai, H.-L., “Layer by Layer Structure in Ultrathin Films of Aniline and Pyridine on Ag(111),” J. Phys. Chem. (2002). Yang, N., Angerer, W.E., and Yodh, A.G., “Angle-resolved Second-harmonic Light Scattering from Colloidal Particles, ” Phys. Rev. Letts. 87, 103902-1-103902-4 (2001). Yang, N., Angerer, W.E., and Yodh, A.G., “Second-harmonic Microscopy of Single Micrometer-size Particles on a Substrate,” Phys. Rev. A 6404 (4): 5801 (2001). Yourdshahyan, Y., Zhang, H. and Rappe, A. M., “n-Alkyl Thiol Head-Group Interactions with Au (111) Surface, ” Phys. Rev. B Rapid Comm. 63, 081405 1-4 (2001). Ziherl, P. and Kamien, R. D., “Maximizing Entropy by Minimizing Area: Towards a New Principle of Self-Organization,” J. Phys. Chem. B 105, 10147 (2001). Alvarez, R., Kalinin, S. and Bonnell, D. A. “Magnetic Field Measurement of Current-Carrying Devices by Force Sensitive Magnetic Force Microscopy with Potential Correction,” Applied Physics Letters 78, 1005-1007 (2001). Chen, I.-W. and Winn, E. J., “Delaminating Oxide Layered Composites with Wavy Interfaces,” Z. Metallk., 92, 757-61 (2001). Chen, I.-W., Winn, E. J. and Menon, M., “Application of Deformation Instability to Microstructural Control in Multilayer Ceramic Composites,” Mater. Sci. Eng., A317, 226-35 (2001). J. Applied Physics 91, 832 (2002). Kalinin, S. and Bonnell, D. A., “Scanning Impedance Microscopy of Electroactive Interfaces,” Appl. Phys. Lett. 78, 1306-1308 (2001). Kirkmeyer, B. P., Weiss, R. A. and Winey, K. I., “Spherical and Vesicular Ionic Aggregates in Zn-Neutralized Sulfonated Polystyrene Ionomers,” J. Polym. Sci. : Polym. Phys. 39, 477-483 (2001). Mo Liu, D. and I-Wei Chen, I.-W., “Encapsulation of Biomaterials in Porous Glass-like Matrices Prepared via an Aqueous Colloidal Sol-Gel Process,” U.S. Patent 6,303,290 (2001). Qiao, L., Winey, K. I. and Morse, D. C., “Dynamics of Kink Bands in Layered Liquids: Theory and in situ SAXS Experiments on a Block Copolymer Melt,” Macromolecules, 34, 7858-7867 (2001). Smith, B. W. and Luzzi, D. E., ”Electron Irradiation Effects in Single Wall Carbon Nanotubes,” B. W. Smith and D. E. Luzzi, J. Applied Physics 90, 3509 (2001). Zenotchkine, M., Shuba, R., Kim, J. S. and Chen, I.-W., “R-Curve Behavior of In Situ Toughened a-SiAlON Ceramics,” J. Am. Ceram. Soc., 84, 884-86 (2001). Zenotchkine, M., Shuba, R., Kim, J. S. and Chen, I.-W., “Synthesis of a-SiAlON Seed Crystals,” J. Am. Ceram. Soc. 84, 1651-53 (2001).